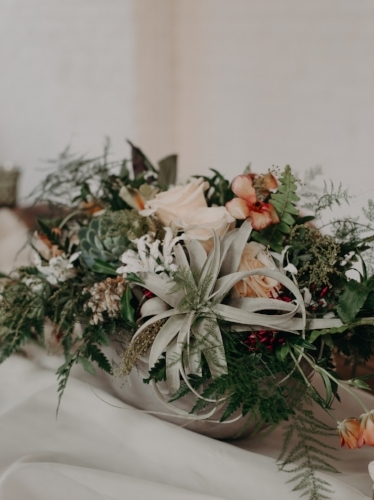 I had the fantastic opportunity to help out with a photography workshop designed and executed by Mariana Ziegler Photography and Mathews Wedding and Events. 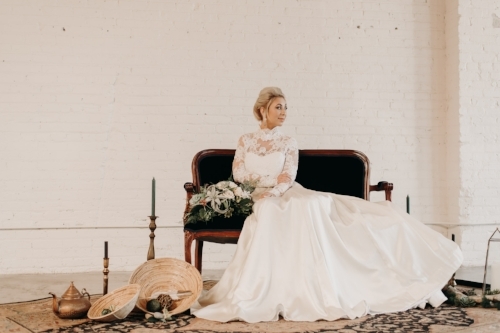 They created several vignettes throughout the local Denver venue, Skylight; and A Love Tale Rentals offered items for flat lays, furniture, the amazing copper arbor as well as little details to add the special touch amazing photos need. 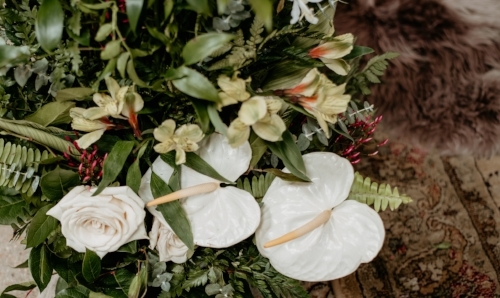 I was given the creative freedom to create some amazing florals for these vignettes and had such a great time doing so. 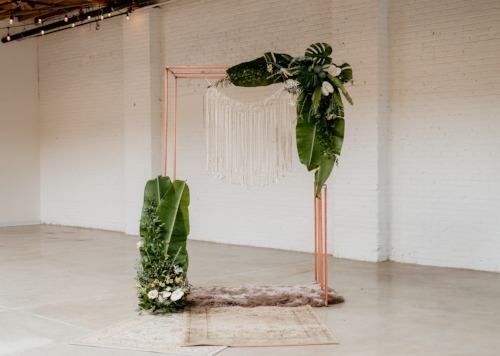 In Colorado, we dont get the opportunity to use tropical flowers and foliages almost at all, so that is what I did! Hoping off the bus at LotusLand for day two of learning, we jumped right into it with Holly Chapple. She had quite the morning planned for us! She had a vision to create a large scale table top design and all 40+ of us were needed to get it done within a couple hours. Holly Chapple explained as much as possible and we dove right in. Structure is up and attached to one another; now to start greening. Then the flowers are added next. The finished design. Absolutely stunning. After finishing with Holly Chappel's large scale design, (which was extremely inspiring for me by the way), it was off to tour LotusLand. I cant express to you the feelings the gardens produce or the awe of it's beauty. I could spend all day sharing photo after photo to you; but alas I will share my favorites. After the garden tour, we ate lunch, then right back out to the tent to learn compote arranging from the very talented Ariella Chezar. Having the opportunity to learn from Ariella was the reason I attended FDD this year. Among the other amazing designers, listening and watching Ariella was a check off of my "floral bucket list." I made sure to take my copy of Ariella's book, The Flower Workshop, for her to sign. The third and final day, up next!